Our favorite books about crystals and partnering with Nature. All books share information through the perspective and experience of their authors. This is especially important to consider in reading books about crystals. Every human being is really a human energy being whose energy field expresses the essence of their spirit, unique history, evolving experience and growth. This energy field continuously changes from moment to moment as the person experiences themselves and their interactions with others in the world of living energies. For this reason, it is impossible for any book to accurately and fully describe what is present in every person’s energy field, or predict the effect or experience of partnering with a specific crystal at a particular time. 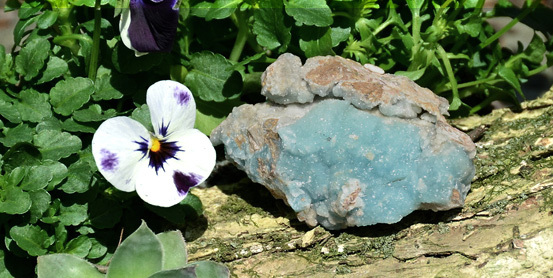 We view crystal books as a helpful resource for learning about the vast gifts, talents and potential of the mineral kingdom, and for considering ways to partner with them in growth and healing. The reader’s own intuition, knowledge and experience are crucial in discerning what is relevant for their own particular interests, intentions and circumstances. It is advisable to consult a professional trained in the appropriate traditional healing profession or complementary healing traditions when questions or concerns arise. 240 pages with interpretive illustrations of crystals. This updated edition of Naisha Ahsian’s card deck and companion book offers an excellent way to learn about the healing energies of crystals and key principles of healing and transformation as you also develop your intuitive gifts at the same time. It introduces 21 additional stones and new material that reflects Naisha’s evolving work with the crystal kingdom. Like other specialized card decks, it works according to the energetic principle that we are drawn to the energy that is in resonance with our own energy or request for information in the moment. You can work with it as often as you like, drawing a stone card in response to any question you have about yourself or a life issue. There is a card for each of the 70 stones featured, and text in the accompanying book that describes one of its key gifts, how this gift relates to healing and transformation and a short reading for each stone that can help you understand why you selected it at the particular time. A helpful affirmation is also provided for you to work with. The cards also teach about the healing energies of the elemental forces of Earth, Water, Fire, Wind and Storm and their energetic associations with individual stones. Working with this deck can be a simple and fun way to explore working with your intuition more fully—excellent foundation for working with crystals. As it’s title suggests, this book focuses on concrete and practical information about how to work with crystals. If you are new to energy work, crystals or both, this book offers an impressive, concise overview of what it can be helpful to know as you are getting started–from the basics to areas of special interest. Included are information about the human energy field (chakra system, subtle energy bodies, meridian system), the origins and structures of crystals, methods for working with them including basic stone layouts and meditation and some aspects of working with energy. Clear instructions for basic ways to work with stones are provided and illustrated with photographs. Special areas of interest such as working with crystals in the home, their benefit for plants and animals, working with crystals and color as well as their use throughout history are also included. A gemstone glossary featuring photographs and very brief descriptions of 66 stones is located at the back of the book. Each chapter of this book offers an excellent introduction to its subject area that may help you to decide the directions you would like explore further. Consider this book when you’d like a broad survey of the field in general. While it is filled with an impressive amount of information, its descriptions of the gifts of individual stones is much briefer than many other books. As its title describes, this book shares information on the specific physical and energetic properties of over 100 different forms of clear quartz stones. Each crystal is illustrated with an excellent diagram showing the relationship of its planes, faces, points and inclusions to make identification easier. Also included is a section for each describing its major aspects and energetic gifts. Among the quartz crystals profiled are cathedral, druzy, elestial, geode, Herkimer diamond, Isis, laser wand, phantom, record keeper, receiver, soul mate and window crystals. If your interests gravitate to working with clear quartz, this book is a helpful, concise guide to exploring the members of this stone family. Two of the world’s most respected crystal teachers bring their vast knowledge and experience of the mineral world together in this exceptional book that is my favorite reference guide. The 2015 edition includes information about 76 additional stones provided by Robert Simmons. Beautifully illustrated with photographs of the 343 stones and metals described, it can be read and appreciated on many different levels. It begins with a twelve-page introduction to the nature of stones, how to work with them and their associations with the elemental energies of Earth, Water, Fire, Air and Storm. The second section of the book profiles each stone including information on its physical and energetic properties, associations with specific chakras and elemental energies. Each author offers their personal view of the stone’s gifts, followed by an excellent summary section that briefly identifies how the stone may help one on the spiritual, emotional and physical levels. Each profile concludes with an affirmation that can quickly help readers understand a key gift of the stone and discern whether it may be a good partner for them at a particular time. A handy index in the back allows readers to quickly identify stones having specific gifts and abilities. While there are occasional similarities in the authors’ experience and descriptions of the stones, each author speaks with their own unique voice and contributes their own unique viewpoint. Readers may especially appreciate Naisha’s deep connection with the elemental energies and her view of their associations and expressions through the stones, while Robert’s writings will be appreciated for the way he shares each stone’s gifts in the context of healing and spiritual growth. Writing from the heart, both authors shine in their ability to share information with the reader in a way that illuminates without overwhelming. This user-friendly reference guide is a real treasure for those who wish to come into deeper relationship with the mineral kingdom. Robert Simmons calls the new consciousness “a new pattern of conscious, heartfelt engagement with the world.” In this groundbreaking book, he invites readers to come into new relationship with themselves, the mineral kingdom and the world as we approach a new frontier of conscious co-creation. For those not familiar with the Soul of the World, known to some as Sophia, this book is a timely introduction to the feminine spirit of World Wisdom whose relationship with us he views as essential for the co-creative evolution of humanity and this planet. Identifying sixty-two stones he views as most helpful in this awakening and developing partnership, Robert shares helpful information about each along with his own experience of the stones through meditation. We have the opportunity to know these stones as divine beings whose presence and purpose are to co-create and serve with us rather than for us. Each stone’s section concludes with a one-two sentence channeled message from the stone that can help readers to understand its essence clearly. Stones of the New Consciousness is like no other crystal book I have read. It is really a far-reaching course in spiritual growth that integrates spiritual teachings and traditions, quantum physics, biology, heart intelligence, physical/energy anatomy and meditation practices with crystals as it helps readers to see themselves and all with whom they are in relationship in an expanded way. The book includes an excellent discussion of the Liquid Crystal Body Matrix and the Light Body, two aspects of our multi-dimensional self brought vividly to life through Robert’s insightful writing. This book can be a wonderful companion for those seeking to move forward on their spiritual path in partnership with the mineral kingdom. It is a source of deep wisdom and guidance that helps to illuminate the new way of being he calls an activity of blessing. In 1962, Peter and Eileen Caddy, their family and friend Dorothy Maclean were drawn to an isolated caravan park on a desolate coast of Scotland. There in the sandy ground of Findhorn, they were guided by angels and nature intelligences (devas and nature spirits) to create a garden that yielded flowers, fruits and vegetables of extraordinary size and quality where conventional wisdom dictated no plant life could be expected to thrive. This book chronicles the true story of what happened at Findhorn when humans and nature intelligences came together to communicate, co-operate and co-create. The writings of the garden’s human founders and channeled messages from the devas and nature spirits of the plants, land and elements are an integral part of the book. This moving and inspiring story of faith, love and awakening may inspire you to re-evaluate your own view of and relationship with Nature. Today, the Findhorn garden and community continue to thrive as a testament to the vibrant co-creative relationship that is possible between human beings and Nature. Reading this book forever changed the way I perceive and honor the living energies of nature, and my commitment to having a conscious, co-creative relationship with them. This groundbreaking book has helped many people around the world to transform their view of water and its interrelationship with all life on Earth. Readable on many different levels, it is at first an awakening to who we are as beings made up essentially of water, then an exploration of the nature of energy, water as a living energy and later a fascinating documentation of water’s responsiveness to the effects of our thoughts, feelings and words as the distinct energies they are. Earlier in history when human beings lived closer to Nature, they recognized the sacredness of water. In this amazing book, Alick Bartholomew synthesizes a vast array of information from both mainstream and holistic science to bring readers an enlightened view of water’s true nature and mind-boggling role in the orchestration of all life and communication on this planet. His reverence for water as a living, conscious organism is the lens through which he shares his view of water as a sacred being whose gifts can also be partially recognized and understood through science. Simply and clearly written, this book at times reads like a highly-absorbing biography and at others like a popular science book. As you read it, you may feel as though the author is re-introducing you to an old, under-valued ally whom you are finally getting to know and appreciate. The current state of water on the planet, as well as helpful information on water and health are also addressed by the author. Reading this book is an invitation to vividly see water as a reflection of the divine truth: All is One.